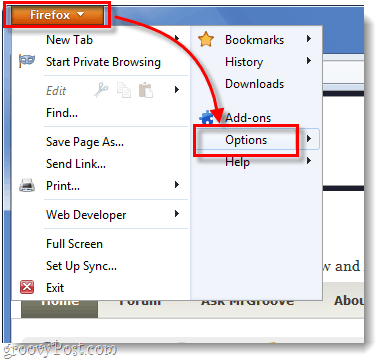 If you’d like all of the programs on your computer to use Firefox, then it needs to be set up as your default browser. With version 4, Mozilla has changed up most of the interface, so it might be tricky to find. 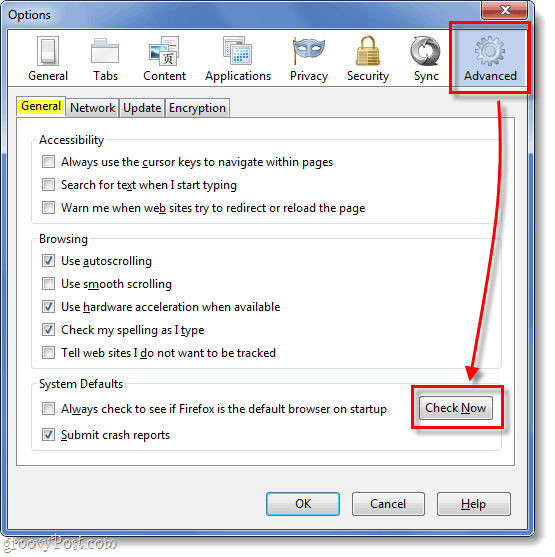 Below we have the updated instructions for setting Firefox 4+ to your default browser. In Firefox, Click the Firefox menu button at the top-left of the window. From the drop-down menu that appears, Click Options. The options window should appear. Click the Advanced tab, an then under the General category Click the Check Now button. A small Default Browser window will appear, Click Yes. Now Firefox 4 is your computers default browser! Any links that you click on from any non-browser application on your computer will now open up in Firefox.